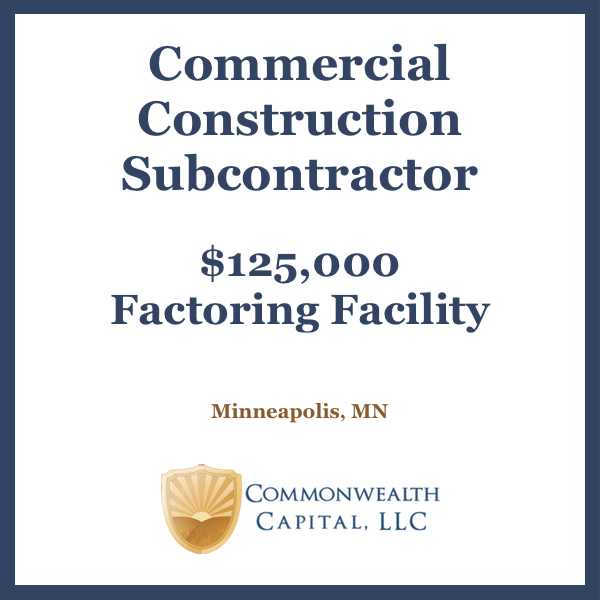 Construction factoring is a great way for subcontractors to have the working capital they need to meet payroll, pay vendors, and grow their business. 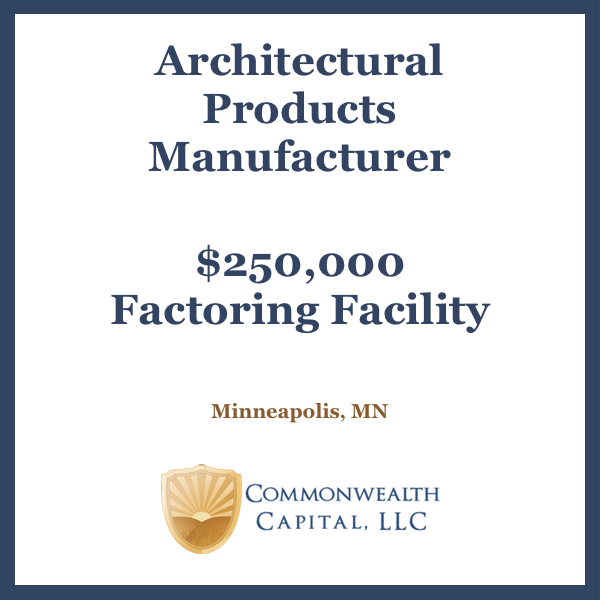 Rainville-Carlson, a fourth-generation company, is a leading contractor in industrial and commercial roofing, sheet metal, and custom metal fabrication throughout the Twin Cities metropolitan area. 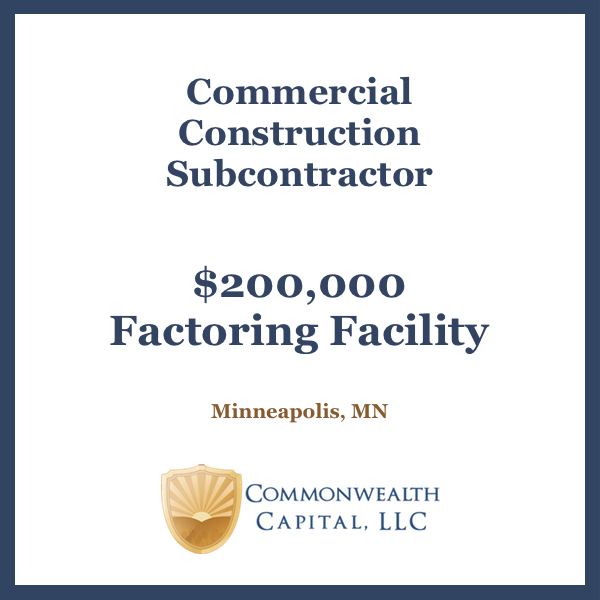 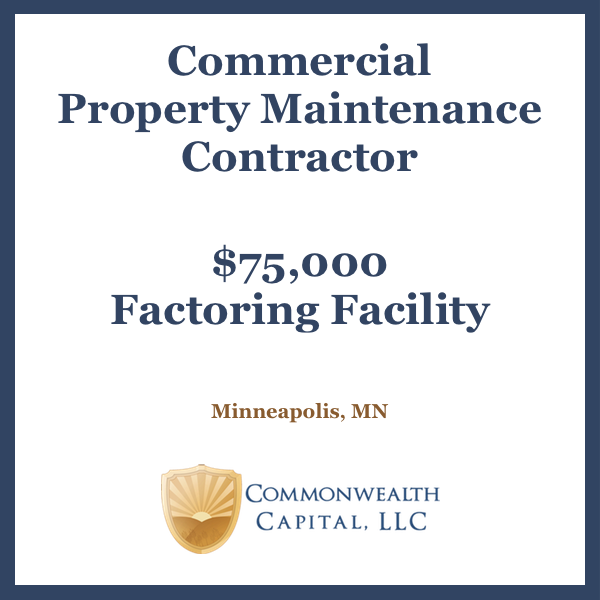 Commonwealth Capital, LLC, a leading provider of invoice factoring to businesses in the Upper Midwest, today announced that it has provided a $200,000 factoring facility to a Minnesota-based commercial construction subcontractor.